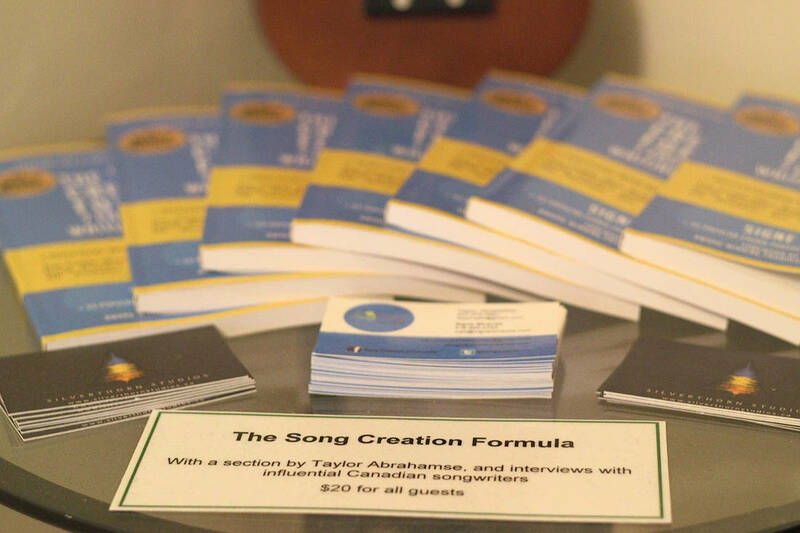 Perhaps you’re a musician and you’ve always wanted to visit Toronto. Well, now you can travel and lay down your latest hit in the same visit! 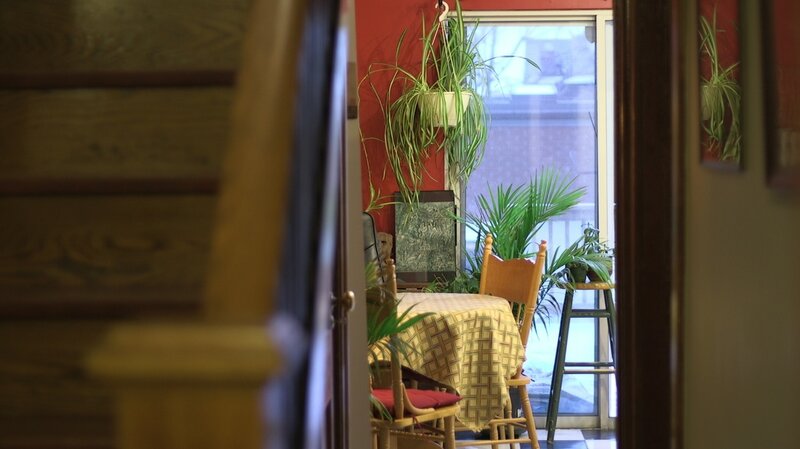 ​Silverthorn Studios features The Music Airbnb, perfect for short or long stays during the recording process, or for general use. 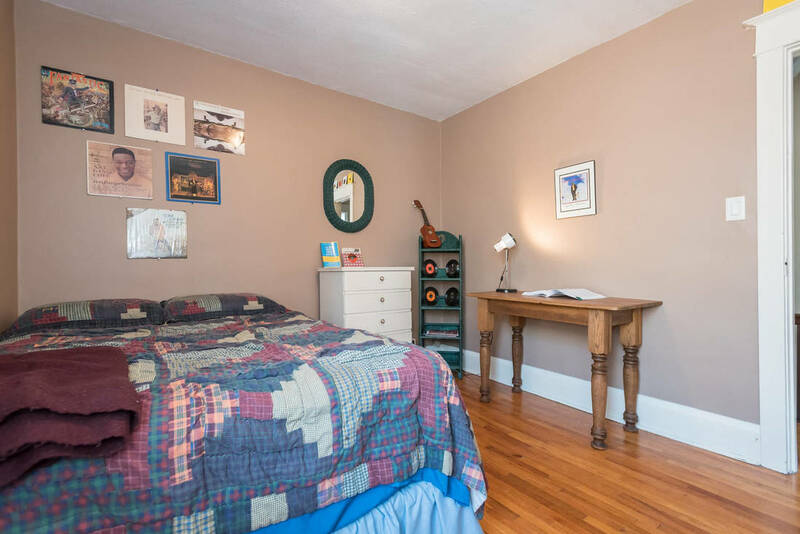 Due to its charming atmosphere, friendly hosts, and great prices - our Airbnb has been popular since its inception, maintaining a 5 star rating from many guests. 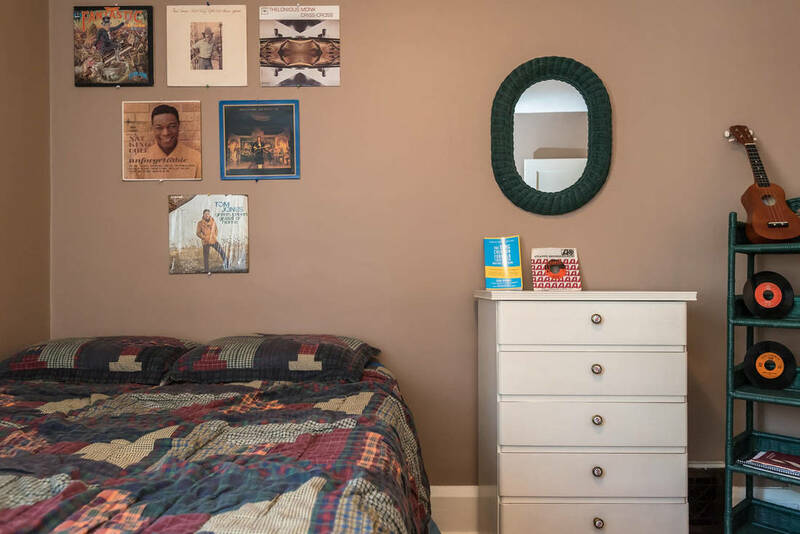 Experience quiet & comfort while being surrounded by breathtaking artwork, and one-of-a-kind music memorabilia. Our Airbnb also features free on-site laundry, and a gorgeous back deck. 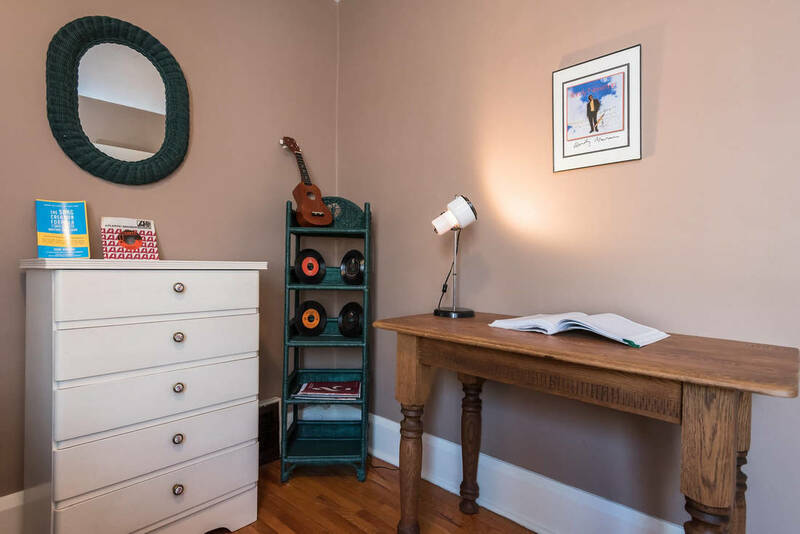 The Music Suite Airbnb - equipped with guitar, bass, ukulele, music books, records, and a handmade retro wooden desk. 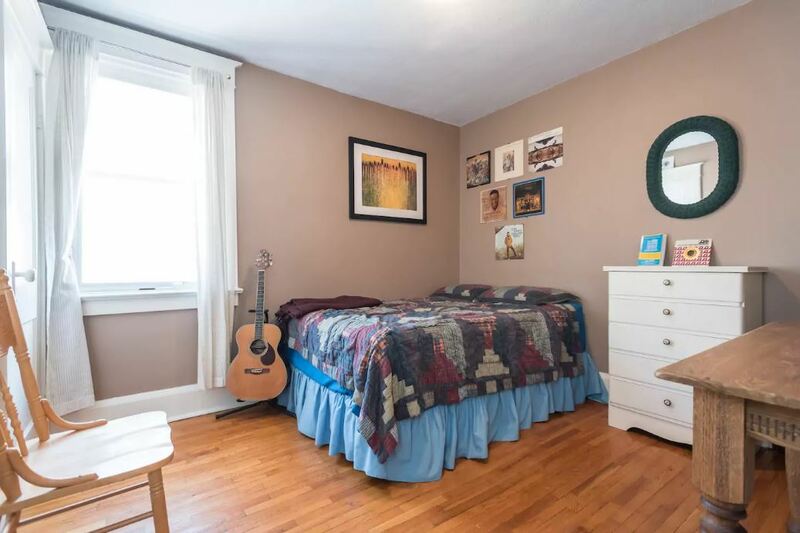 A comfy double bed and a closet makes it perfect for solo travelers and couples alike. Spacious, simple, and inspiring, The Music Suite consistently receives a 5-star rating from guests. Reclaimed wooden desk handcrafted by Pinehill Tables. 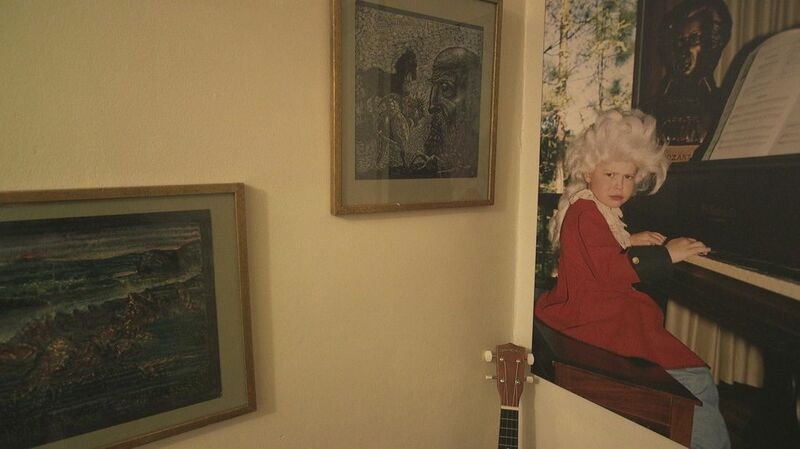 Studio co-founder Taylor at five, channeling Mozart. 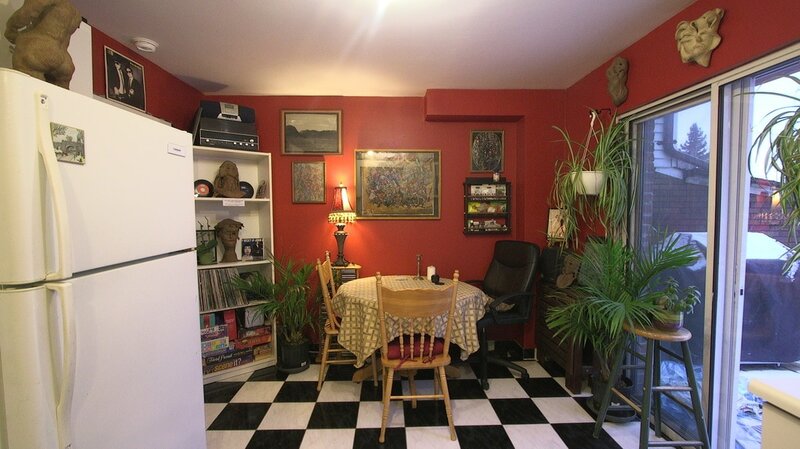 Down the stairs its easy to get to our kitchen, as well as to our basement laundry room that is free for all guests. 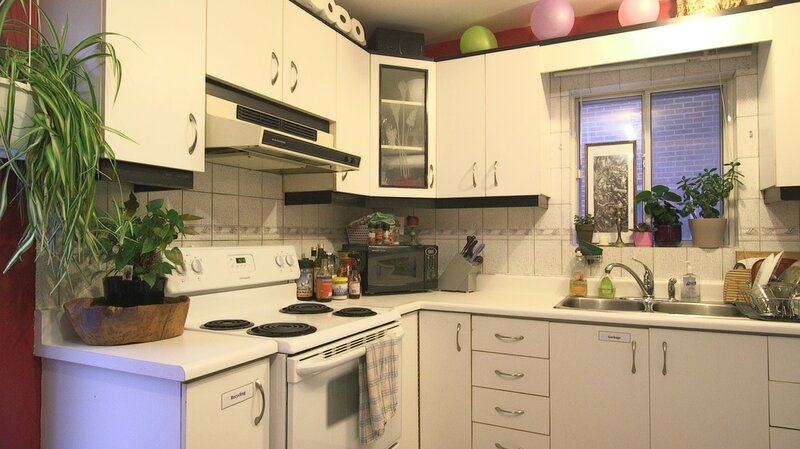 Our inviting, spacious kitchen is equipped with a hidden-speaker sound system. 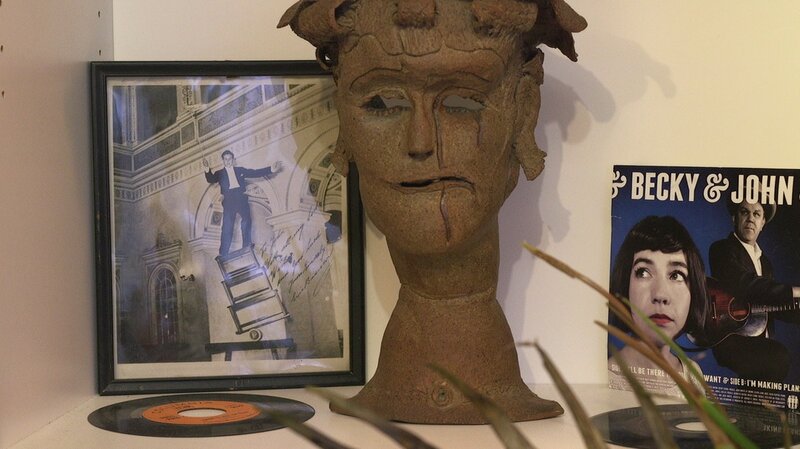 Can you spot the Blues Brothers LP? You'll be fascinated by our vinyl and countless musical knick-knacks. 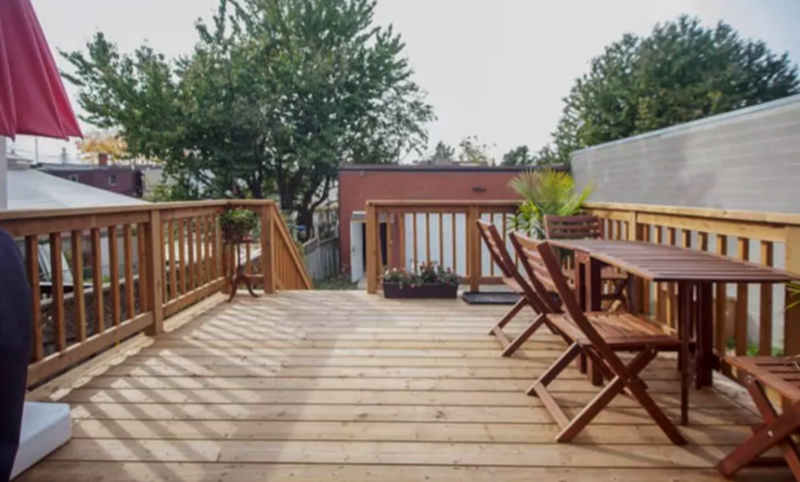 Our gorgeous, spacious back deck also includes a grill. 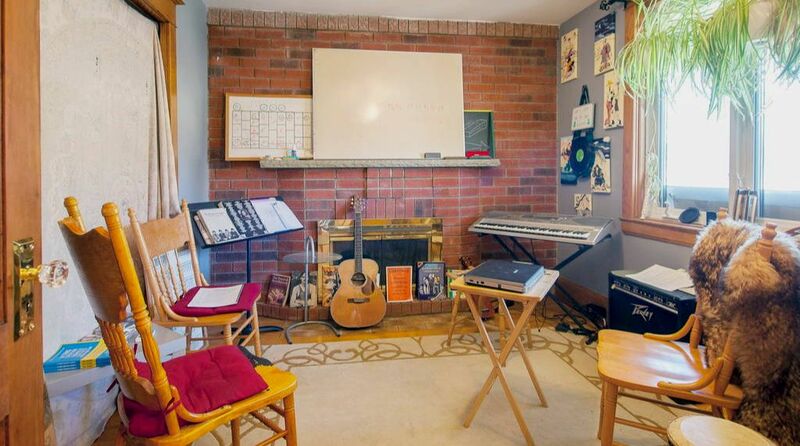 We also have an additional music room, perfect for practicing. 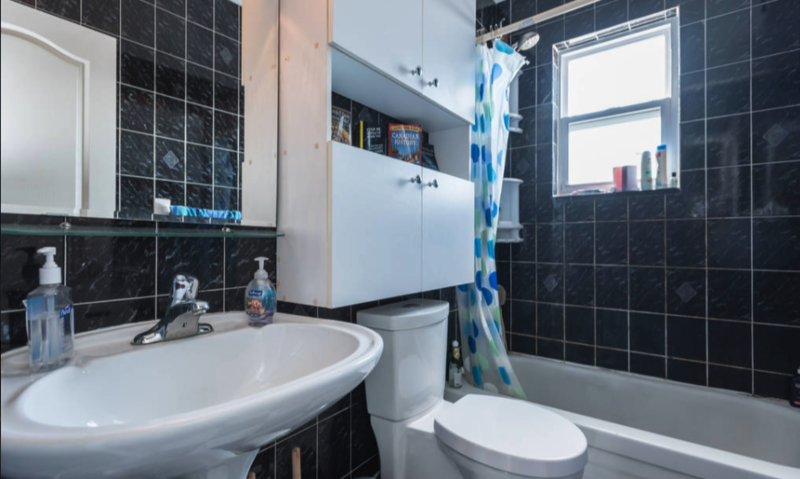 Clean & fully-functional washroom with shower/tub combo. Want to up your game? Ask your hosts about 1-on-1 private lessons for harmonica, guitar, drums, or voice acting. The house is clad with one-of-a-kind artwork. 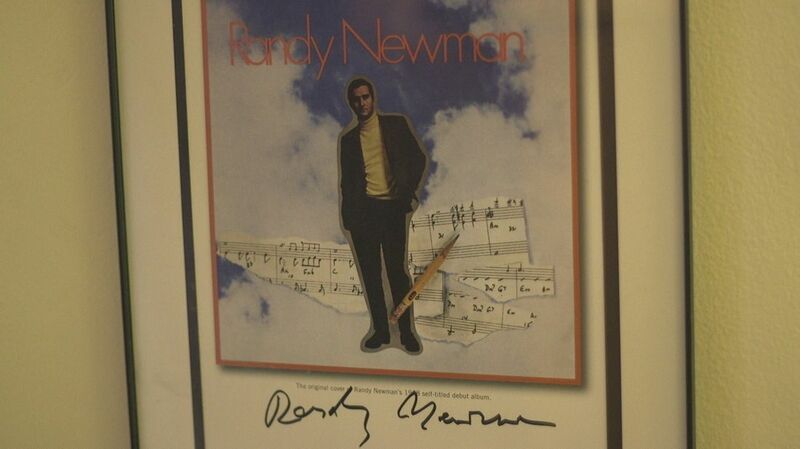 Here's one signed by the legendary Randy Newman. 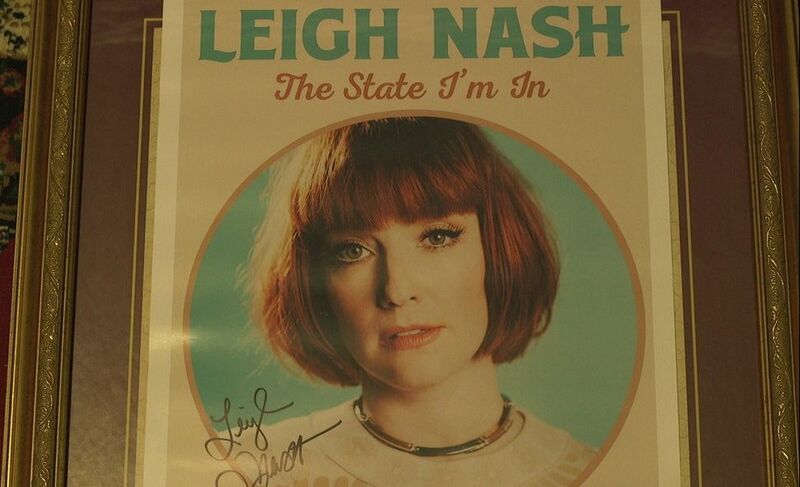 Signed by the talent herself.